Crosshaven Lifeboat Station (est. 2000) is located in Crosshaven, Co. Cork at 51°54'N, 8°18'W, just near the edge of Cork Harbour. Our nearest stations are Ballycotton to the East and Kinsale to the West. Our station boat, an Atlantic 75 "Miss Betty" (B-782) arrived on Thursday 27 June 2002. She has since been refitted and has 2 Yamaha 75hp engines. Crosshaven Lifeboat Station is one of 43 stations in Ireland and 232 in total run by the Royal National Lifeboat Institution. 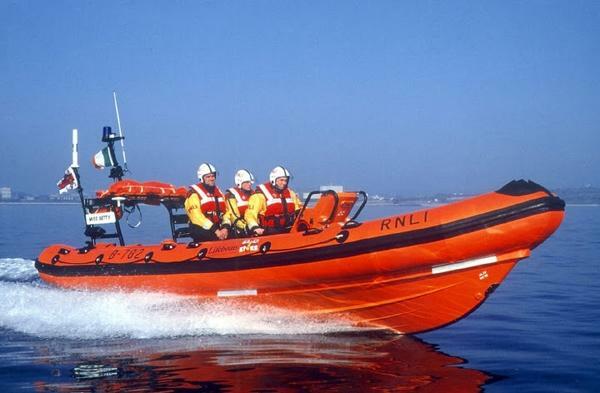 The RNLI exists to save lives at sea and is entirely supported by voluntary contributions (Registered Charity Number CHY2678). Each lifeboat is crewed and run by volunteers who are always ready to put to sea 24 hours a day, 365 days of the year if required.